I have some great finds I want to share that com from a couple stores that carry a petite line where I don’t require petite sizes. If you are petite, then you most likely know which brands do not carry their petite lines in store and this has always been frustrating for me. Doesn’t everyone love a little instant gratification?! Well, I’m glad to tell you that not all is lost and that there are still some options 🙂 Here are a few items that worked for me! 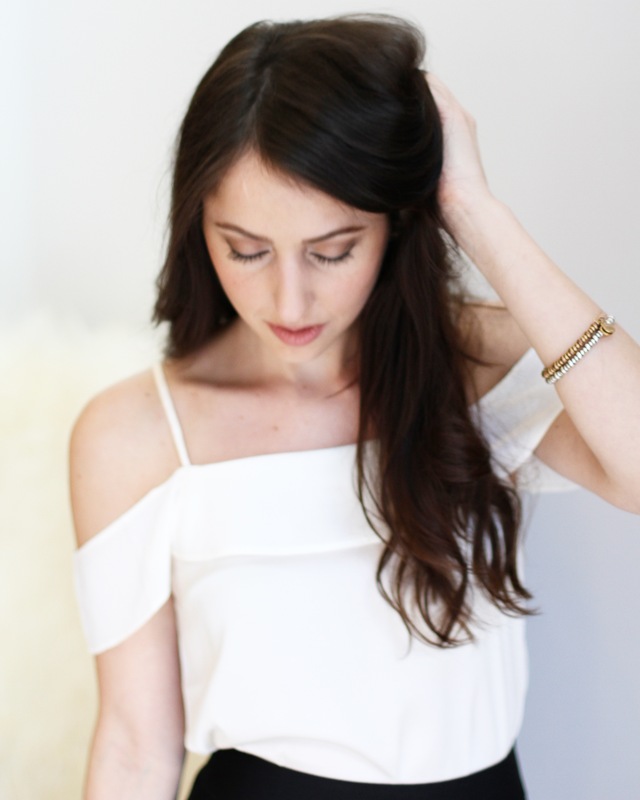 This white cold shoulder top (I am wearing an XS) is perfect to wear with a high-waist skirt or skinny jeans and feels elegant with its silky soft fabric. Blazers and jackets are tricky for me to find with the perfect fit but this blazer from White House Black Market had an amazing fit in a regular XS. It can be dressed up with slacks or a pencil skirt but it also looks great with a pair of skinny jeans. I was incredibly happy that even after four years, Express still carries the same beloved leather jacket. The leather is so soft and the sides have stretch knit inserts that ensure a comfortable fit. This is great to wear with a tee-shirt or over a dress; it’s pretty much my go-to jacket for every occasion on cooler spring nights. I hope everyone is having a great start to their week. This Monday starts week 2 of my final semester and I couldn’t be happier to finally be graduating; it has taken way too long for me to finish my BBA in Marketing.